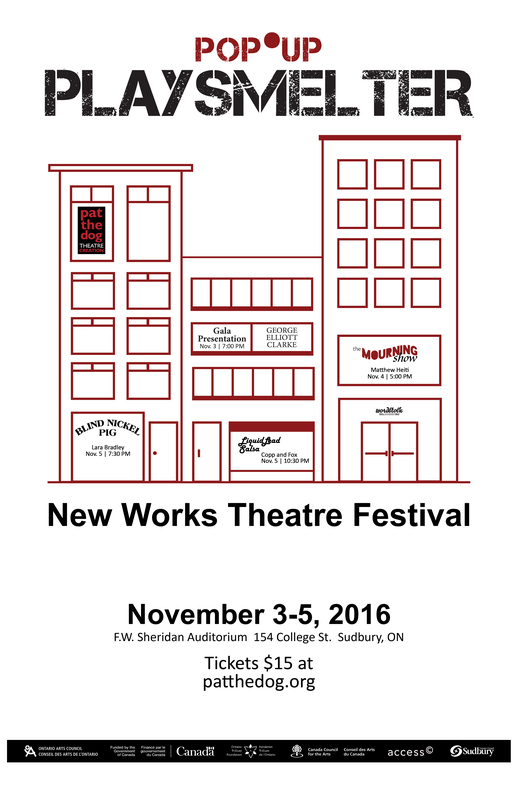 A Pop-Up version of our PlaySmelter Festival of New Works of Theatre will bound into Sudbury on November 3 to 5, 2016. There and gone in a flash, Pop-Up PlaySmelter, in partnership with Wordstock Sudbury, is a gala occasion for new work to meet new people. Between public readings of new work, gender-fluid salsa lessons, and super-secret surprise events, we’re slamming all the excitement of our full festival into three days. 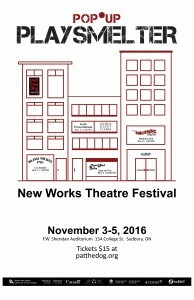 World premiere workshop presentation of award-winning Sudbury writer Matthew Heiti’s newest play, “The Mourning Show”. For 30 years, Harry Gzotowski has hosted the morning radio show, travelling from one small town to another. His show is a cultural institution, but up close the tour bus is rusting, the CD’s aren’t selling, and Harry’s had enough. Tonight’s his last show, and nobody goes home alive. 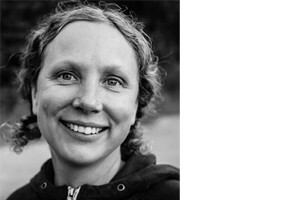 Workshop presentation of local playwright Lara Bradley’s “Blind Nickel Pig”, a rollicking tale of times past and the people who lived in Sudbury a hundred years ago. Bradley brings to life a heart-warming and hilarious cast of characters: The sisters Flyberry: Annie and Frannie, Fast Willie Dorland, barfly Pickles and songstress Miss Mabel-Lynn – to name just a few. 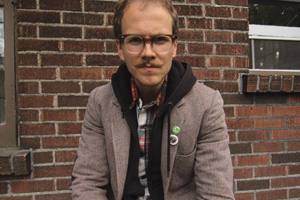 An original, local, and (maybe) true story by one of Sudbury’s most talented writers. Fresh from their TedX Talk in Montreal, International Latin and Salsa Champions Trevor Copp and Jeff Fox will present a very special late-night evening of dance as they demonstrate “Liquid Lead Dancing”, a technique created by Copp and Fox that challenges the idea of traditional gender roles through dance. Funding for Pop-Up PlaySmelter is thanks to Canadian Heritage, Ontario Trillium Foundation, Ontario Arts Council, Canada Council for the Arts, and the City of Sudbury. All events will be held at F.W. Sheridan Auditorium, 154 College Street, Sudbury. Tickets are available for pre-sale online here. Check Pat the Dog’s website and twitter for secret Pop-Up events throughout the Festival. Le Devoir – Je danse, tu me suis: un air passé?